Amazon has sliced the list prices of several Nest and Ecobee smart thermostats that integrate with Amazon Alexa, Google Home, and other smart home platforms. Nest and Ecobee are two of the best-selling smart brands because of their respective abilities to learn based on owner behavior. Both brands also work with remote sensors for prioritized temperature management. In addition to saving energy and money, smart thermostats can increase your comfort and save the hassle of resetting your home’s heating and cooling controls whenever the temperature outside swings more than just a few degrees. We’ve found the best discounts on Nest and Ecobee smart thermostats on Amazon. Whether you’re starting with a new smart home configuration, adding or upgrading an existing system, or even buying a smart thermostat as a gift, these five deals can help you save up to $44. The Nest (T3007ES) Learning Thermostat is a big hit with Amazon customers, averaging 4.3 stars (out of 5 stars)based on 13,708 customer reviews. This Nest model is Alexa voice-command compatible and available in five colors and finishes. The third-generation Learning Thermostat automatically adjusts the temperature at different times of the day as it learns your heating and cooling preferences. 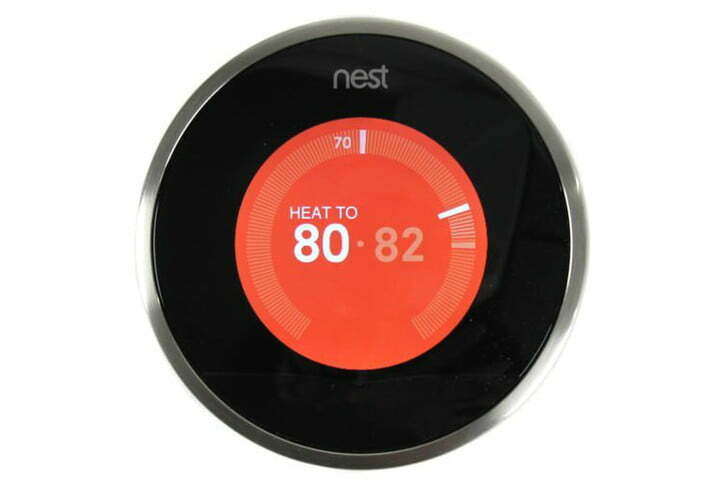 This model also supports optional Nest Sensor Thermostats (currently on sale for $39 each) to regulate temperature based on input and settings for remote areas in the house, typically up to 50 feet from the main thermostat. 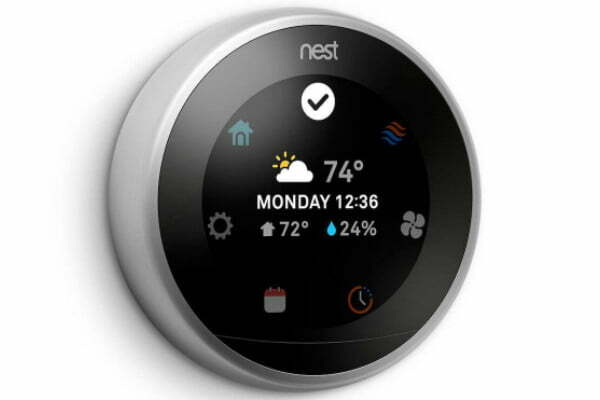 Normally priced at $250, the Nest (T3007ES) Learning Thermostat is $207 during this sale. If you want a proven smart thermostat that helps save energy and money while keeping you comfortable, take advantage of this opportunity. The only significant difference between the Nest T3008US Learning 3rd Generation Thermostat (Professional Version) and the T3007ES model above is the pro version doesn’t come with a retail warranty because it has to be installed by a professional contractor who issues a contractor’s warranty. Like the regular version, the T3008US works with Amazon Echo devices for Alexa voice commands. Usually $249, the Nest T3008US Learning 3rd Generation Thermostat (Professional Version) is $205 for this sales event. 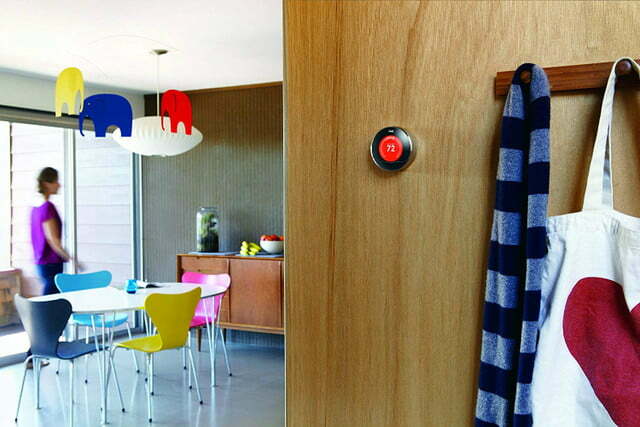 If you’re going to have the smart thermostat installed, you might as well save a few bucks. 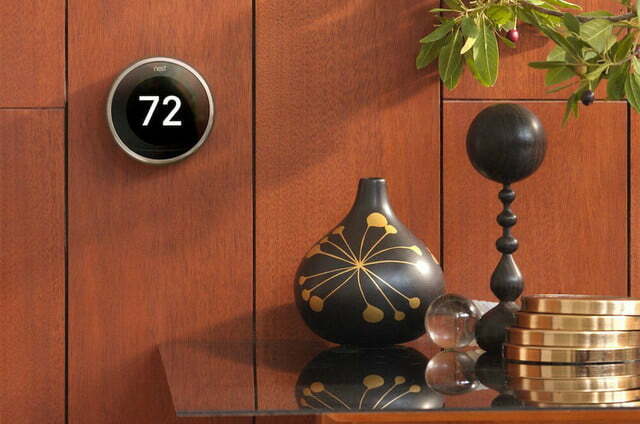 Like the other Nest Learning Thermostats, the second-generation model learns your schedule automatically. It also turns the temperature down if no one is home and responds to Alexa voice commands when connected to an Amazon Echo device. 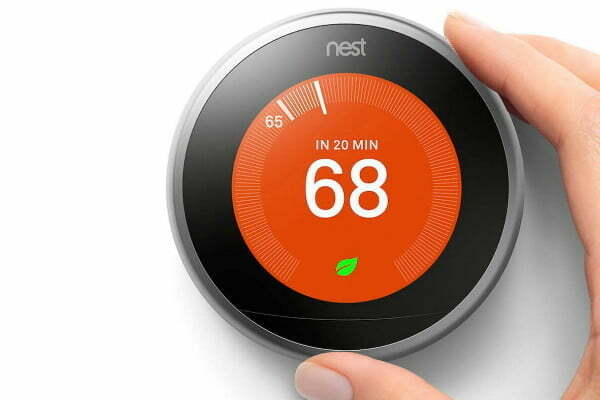 This generation is 20 percent thinner than the original Nest smart thermostats. Regularly priced $249, the second-generation Nest Learning Thermostat is $216 during this promotion. If you’re shopping for a smart thermostat, the second-gen Nest Learning model could be the right choice, but be sure to check out the availability and lower sales prices of the third-generation models above. 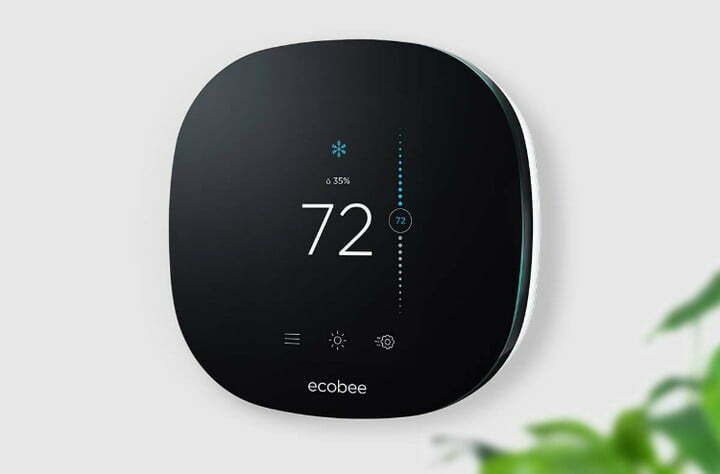 The second-generation Ecobee3 Lite Smart Thermostat senses both room temperature and occupancy. You can place optional Ecobee Room Sensors in any area of the house and set schedules and comfort priorities based on your preferred schedule. For example, if you have a single thermostat for your whole house located in the kitchen and a sensor in your bedroom, you can configure the Ecobee3 to adjust the temperature based on the bedroom sensor reading when you’re sleeping and on the kitchen reading during the day. 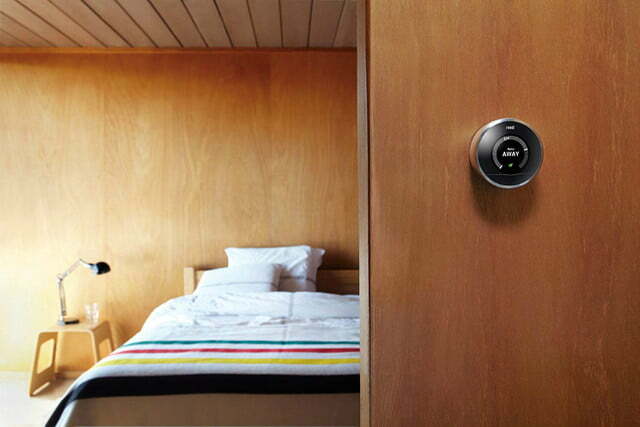 Sensors cost $78 for two, and a single thermostat can support up to 32 Room Sensors to prioritize many area combinations. Because Ecobee3 lite Thermostat sensors also detect occupancy or “presence,” the system can adjust the temperature depending on whether anyone is actually in the room. For example, if you stay up late to work in your home office, and have Room Sensors in the office and your bedroom, the system will keep you comfortable while you’re working and readjust on its own when you finally go to bed. The Ecobee3 lite works with iOS or Android smartphone apps. It is also Alexa compatible to respond to voice commands given to an Amazon Echo, Google Home, Apple HomeKit, Microsoft Cortana, or Samsung SmartThings smart speaker or to command settings from an IFTTT power source. Ordinarily $169, the second-generation Ecobee3 lite Smart Thermostat is discounted to $152 during this sale. If you want near infinite control of the temperature settings in your living spaces, you can start with an Ecobee3 lite and add Room Sensors as you need them. 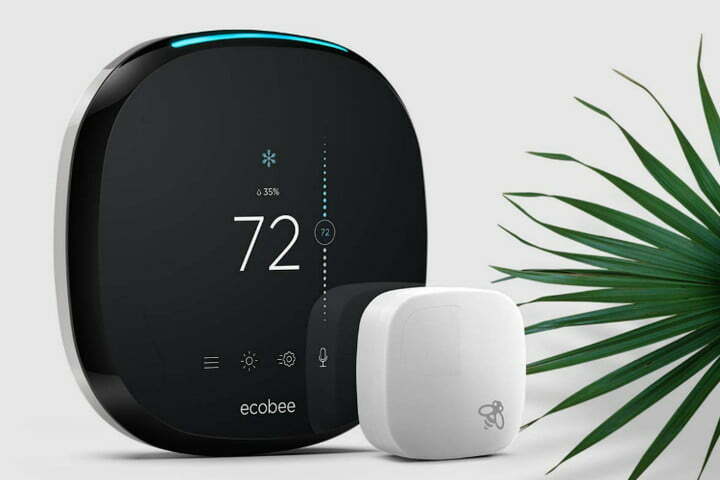 The Ecobee4 Smart Thermostat with Built-In Alexa and one Ecobee Room Sensor does everything you can do with the Ecobee3 Lite and more because it has Alexa buil- in so you don’t need a separate Amazon Echo device to use voice controls. The Ecobee4 Smart Thermostat also comes with one Room Sensor so you can set up your first remote sensor. Because Alexa is integrated with this model, it doesn’t support other smart speaker platforms. Usually priced $249, the Ecobee4 Smart Thermostat with Alexa built-in and one Room Sensor is marked down to $230 for this sale. If you want a complete system including a smart thermostat, digital voice assistant, and a remote sensor, take advantage of this awesome price.